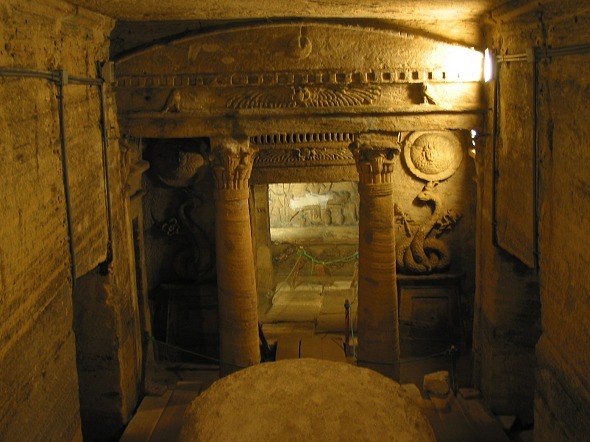 The largest Roman burial place in all of Egypt, these tombs were found when a donkey fell through the ground. His bones are cased in glass, a modern contrast to the Pharaonic-Greek fusion architecture. Have a guard show you around and he will point out every single tomb and water passage. It’s a bit of a walk from the corniche, and taxi drivers might not know what you are talking about. Cameras not allowed (photo borrowed from here).